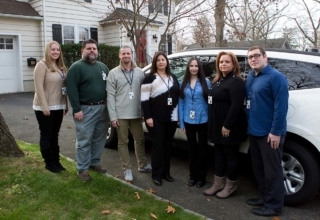 The Behavioral Health Response Team (BHRT) provides mobile behavioral health services and crisis intervention 24/7, 365 days a year to individuals, families and agencies in Rockland County. The Team can come to you if a mental health situation needs immediate intervention. BHRT has an experienced team of mental Health professionals capable of responding immediately to requests for assistance or intervention with any behavioral health issue. 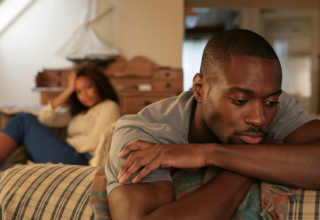 The issues can range from serious emotional crisis to seeking guidance for behavioral health support. Our Team will conduct a basic needs assessment, which is an essential part of the outreach process. We provide referrals to mental health providers and agencies to ensure that individuals and families receive the on-going care they need. However, if immediate additional support is needed the BHRT team members will arrange transportation to the most appropriate facility. 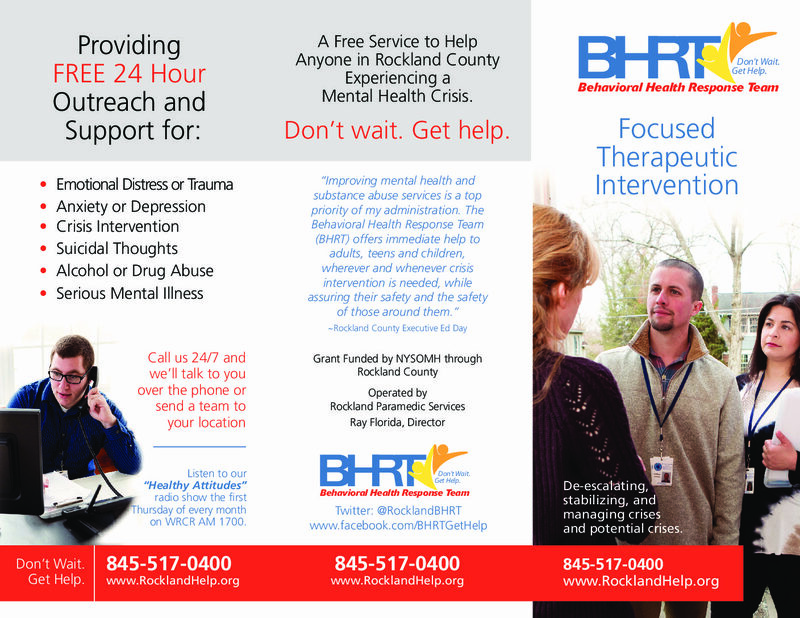 BHRT works collaboratively with all Rockland hospitals, mental health agencies, and first response agencies to ensure the most appropriate care. Who can request assistance from the Behavioral Health Response Team? The Behavioral Health Response Team (BHRT) serves any person in Rockland County who is experiencing, or is at risk of a psychological or emotional crisis and requires behavioral health intervention.Anyone can contact the Team at any time. What services does BHRT provide? 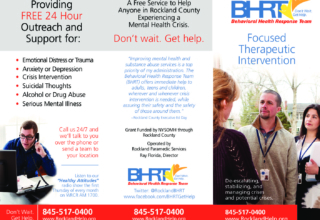 The BHRT staff provides a range of services including assessment, crisis intervention, supportive counseling, information and referrals, linkage with appropriate community based mental health services for ongoing treatment, and follow- up. Our support is confidential, non-judgmental and respectful. See more here! Yes! 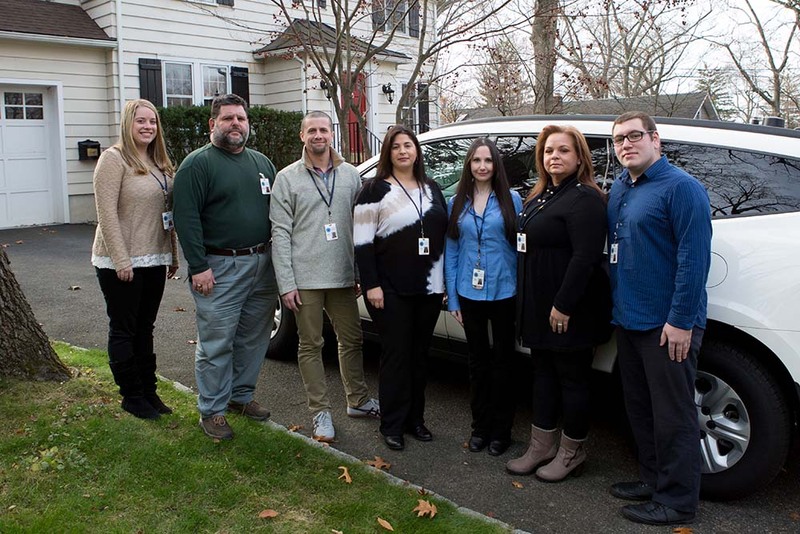 The Behavioral Health Response Team (BHRT) is prepared to respond to wherever you are located in Rockland County. We value your privacy and are fully prepared to protect all interactions which are strictly confidential. Call the Behavioral Health Response Team any time of the day or night for any mental health related issues. Is there a charge for the BHRT services? No, there is never a charge for the Team’s services. The program is free of charge through a grant from the NYS Office of Mental Health through Rockland County.